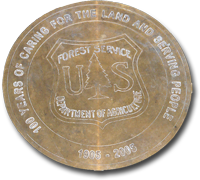 It was 1909, and the United States Forest Service was a struggling four-year-old. Its new rangers were struggling as well: establishing boundaries, enforcing new conservation rules, and wrestling with the harsh elements. One of these seventy-three original Forest Rangers, James Grimshaw Cayton, had been working living out-of-doors on the Grand River District (now the Rifle District of the White River National Forest) for several years. Cayton had been eyeing the perfect spot on which to build a ranger station and home. Ranger Jolly “Boone” Robinson rode over from Collbran and approved the site: Johnson Springs, a sheltered meadow with naturally flowing water just above Divide Creek. On October 2, 1909, Ranger Cayton staked the fence around the cabin site and sought help for the formidable task of creating a shelter before the winter snows. 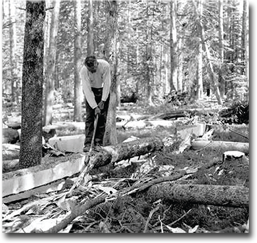 With borrowed equipment and two helpers, he cut and peeled the logs for the cabin. Then he took a break to travel out on the district, coming back a married man! 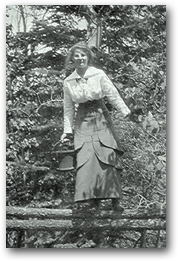 He took as his bride the young school teacher and local rancher’s daughter, Adelaide Dorothea Miller, also known as Birdie. It took Jim and Birdie nearly a year to finish building the cabin. The supplies were purchased in the nearby town of Rifle, at a cost totaling $713.01. On January 13, 1910, Jim bought the “Great Majestic” stove that is still the main heating and cooking source for the cabin. Jim wrote, “During that summer season of 1910 Mrs. Cayton and I put the chinking in the house and daubed it with mud. We also built the brick chimney, she being the hod carrier. The hole had been cut in the roof for the chimney and in order to make the chimney go out the hole (this was the first brick chimney I had ever built or seen built) I had to make about two curves in it. Locating the ranger station well within his district helped Ranger Cayton look after his forest duties effectively. His labors often required him to ride twenty miles a day—keeping track of the number of cattle each rancher was putting on the forest, surveying boundaries, posting signs, building and repairing telephone lines, inspecting homestead claims, and many other wide-ranging tasks. The station served as an important resource for the local ranchers. They knew they could come to Ranger Cayton for help when they were in need. The telephone at the station served all the neighboring homesteads, as it was the only such resource for miles around. Ranger Cayton was relied upon to carry a message to his neighbor, wait for the reply to be written down, then carry it back and return the call. At home by herself for many days and nights on end, Birdie Cayton acted as an unpaid Forest Service employee. 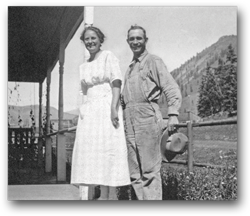 She answered telephone calls, climbed phone poles and made repairs to the lines herself; she acted as Jim’s go-between with the ranchers, sold hunting licenses, and looked after the station’s garden and livestock. 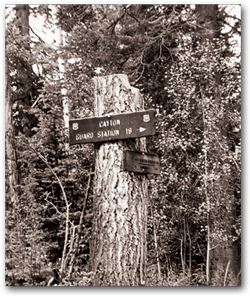 In 1920 the Caytons moved out of the district (serving for eighteen more years on the Rico District of the San Juan National Forest). The station was renamed Cayton Guard Station in honor of James Grimshaw Cayton and his outstanding ranger work. The facility was used for over twenty more years by other rangers and their families. Children were raised there while parents took care of Forest Service business. Then, sometime in the mid-1940s, the station was closed. Upon its retirement from regular use, the Cayton Guard Station was still utilized sporadically by the Forest Service as a headquarters for seasonal work, fire crews and gatherings. 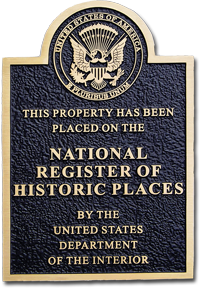 Then in 2003, efforts began to place this important landmark on the National Register of Historic Places. It was given this important designation in 2005. Now this remote century-old cabin is being restored so that students of U. S. and Forest Service history may themselves experience a bit of early ranger life. After restoration, the cabin will be again furnished and the original cook stove re-installed. Interpretive signs and educational activities will be scheduled for participants of all ages.